When you think about blues keyboard styles in Canada; Kenny Wayne’s name is sure to come up. Hailed as “an artist bringing the piano back to the front ranks of contemporary blues”, multiple-award winning blues”, multiple-award winning blues, boogie-woogie and jazz pianist Kenny ‘Blues Boss’ Wayne is called “Blues Boss” for a reason. 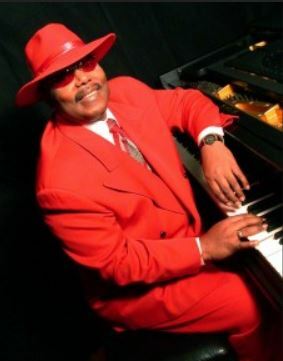 His musical career began as a child prodigy in the late 1950’s and has continued to flourish for over 60 years with Wayne at the forefront of modern day blues piano practitioners. Kenny ‘Blues Boss’ Wayne is an artist who’s got it all: talent, charisma and showmanship. Oozing with class and sophistication, Wayne is a throwback to the golden age of classic rhythm and blues while offering a fresh approach to the genre. He can charm the shine of a keyboard. He’s been a mentor at many workshops and can’t wait to provide those pearls of wisdom to Okanagan Blues Camp players. Kenny’s got the chops and the swag to pull it off. This super nice dude will charm the heck out of his students.